This is a tale of old times. Once there lived two brothers, orphans, who loved each other very much. Their lodge was in a wide wilderness, and the game was plentiful. 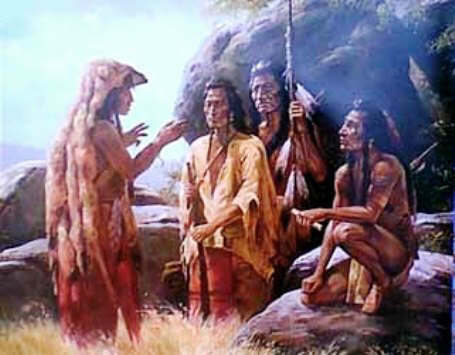 Each day the elder brother hunted and brought back Buffalo meat and venison, while the younger brother, who was but a lad, stayed at home and gathered wood, built the fire, and cooked the supper.